Over a few days every year Semi-Permanent is a pixel-pumping, creativity-boosting, and future-making series of events taking place in Sydney, Australia, and beyond. The festival was founded in 2003 by Murray Bell and Andrew Johnstone. 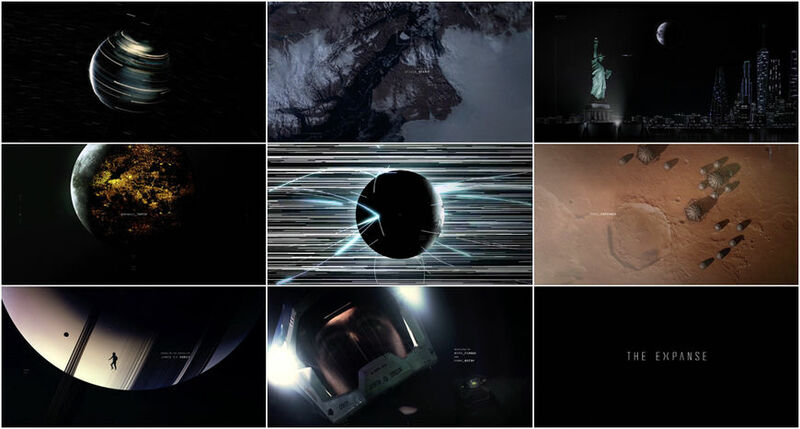 Every year since its inception a designer (or design team) has been invited to create an opening title sequence to launch the festivities. For Sydney’s 2018 edition, an electrifying magenta-and-indigo sequence kicked things off, giving fans and attendees an eyeful of elastic typography, invigorating spirit, and colours bleeding every which way. 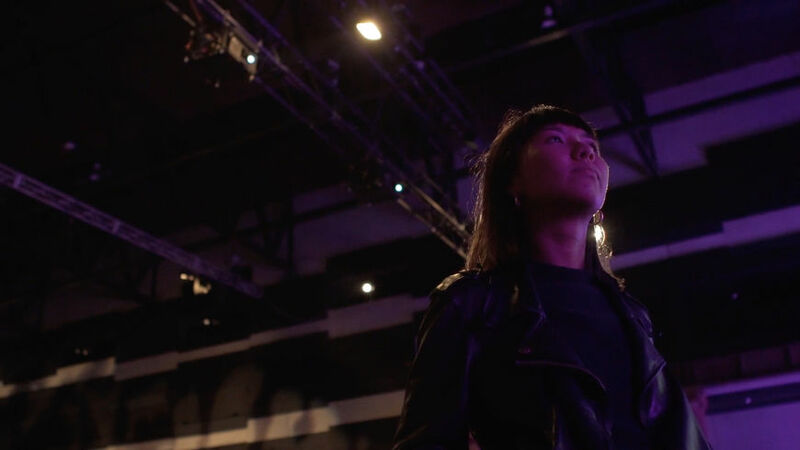 It was directed by Joyce N. Ho, former creative lead at Australian studio Breeder and now a creative director based in New York with title sequences for shows True Detective (2014) and The Expanse (2015) and conferences Analogue/Digital and Likeminds in her rearview. To create the Semi-Permanent titles, Ho assembled an international murderers’ row of talent. 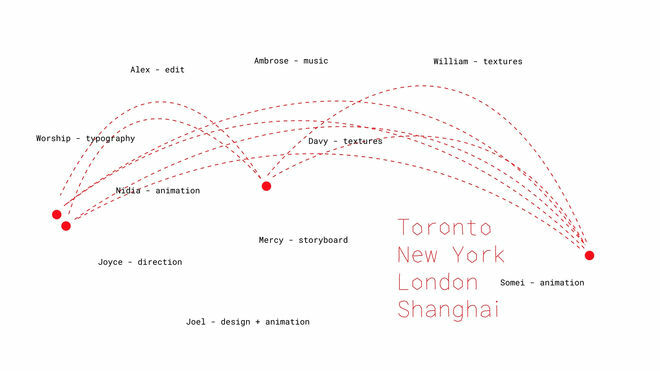 There’s Davy Evans (Brighton) on cinematography and paint, Ambrose Yu (Los Angeles) on score, Worship (Toronto) for custom typography, and design and animation from William Arnold and Joel Watkins (both from New York), Nidia Dias (Porto), and Somei Sun (Shanghai). Handling personnel logistics in addition to creative direction and design is an enormous job, so the gorgeous finished product is a real testament to Ho's seasoned directorial skills. I made it a big point to invite people from different specialities as well: 2D, 3D, and also live action. Creating the titles for a conference of this scale is also a singular honour and opportunity for a designer, providing a spotlight and platform for their work on a grand scale. Surprisingly, Ho is the first female director in Semi-Permanent’s 17-year history to be given the opportunity. With this collaborative, sleek, and inspiring piece, she's knocked it clean out of the park. A discussion with Creative Director JOYCE N. HO about the creation of the opening titles for Semi-Permanent Sydney 2018. Tell me about your work on the titles to Semi-Permanent. How did you approach this, and how did that first conversation happen? Joyce: It was a really amazing and big project. I had emailed Murray Bell in mid-2017, one of the founders of Semi-Permanent, as just a hello. I wanted to put my hat in the ring if he was ever looking for a title designer. Lo and behold, he actually offered the titles to me, which was a huge surprise! 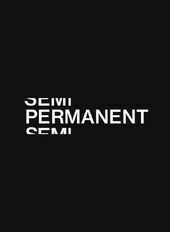 It was a huge honour to take on the titles for Semi-Permanent, knowing all the talented designers that had come before me. Huge thanks to Murray and his team at Semi Permanent for giving me the opportunity! Kudos to you for doing that! You had grown up going to Semi-Permanent, right? Joyce: Yeah, totally. Semi-Permanent was actually the first design conference I attended out of university. It’s a huge part of the Australian design industry. When you go through schooling as a design student you will end up going to one, sitting in the audience and hearing people in the industry talk about their work. You always get that sense, like, Wouldn’t it be cool to one day do the titles? To be up on that stage and talk about your work? For me to get that opportunity meant a lot to me. It felt like I was coming full circle. That’s one of the biggest lessons I’ve learned from this. It never hurts to put your hat in the ring. It’s also important to note that, in Semi-Permanent’s 17-year history of opening titles, you were the first female designer to create one. What did you think when you realized that? Joyce: When I realized that, my first instinct was, “About time.” [laughs] I mean, it was really surprising that they hadn’t had a female director for the titles before. It was never something I realized until I was awarded the job and then looked back. They always put their titles up so it’s public common knowledge that all their past hired designers have been men. And you actually reached out to Semi-Permanent on your own, right? How did you actually start building? Did you get any direction? Joyce: In his first email Murray mentioned this idea of a grand collaboration that I oversee and direct. The theme was “creative tension.” He spoke about what it meant to him. I wrote down some keywords like “pulling,” “friction,” and “release,” which I ended up crafting my direction around. Secondary to that he wanted the titles to be fun and playful, not too serious. To build anticipation and excitement. How did you choose and manage such an international team? It seems like it was a complicated process. Joyce: That’s a great question because it was definitely a challenge to figure out! I invited people who I’d been really wanting to work with for a while, whom I’d admired from afar. I felt like they could bring something unique and special to the concept while keeping it one idea. I made it a big point to invite people from different specialities as well: 2D, 3D, and also live action, because then we could create something that was more unique. As for the pipeline, I decided the best route was to give each collaborator the skeleton. The storyboard. So they could take their specific shots and tasks and run with it. The first week of my job was to do a blocking animatic for everyone to work on. It helped that I already had a great music track from Ambrose to base that on. For the workflow I based it on what worked for The Expanse, actually. 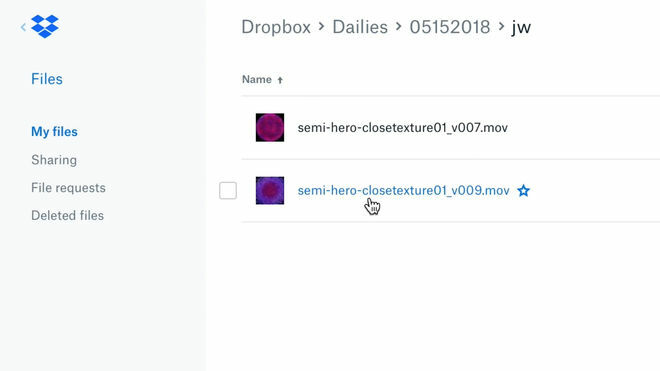 My editor, Alex Gee, who was a close colleague of mine at Breeder suggested that we use a central dailies folder on Dropbox that everyone had access to, that way everyone could see what the others were doing and hopefully be inspired by that as well. The dailies folder became really useful when it came to crunch time because it made it easy for Alex to keep up to date with all the shots for his edit, and also Worship for the type, to make sure the timings for the names were on point. 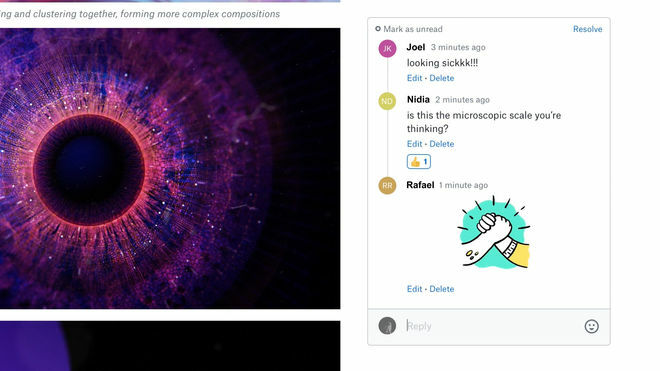 Slack was really useful as well for communication. I don’t think we could’ve made the titles without Slack and Dropbox, to be honest. The dailies folder became really useful when it came to crunch time. Where did this painterly, cellular look come from? Joyce: That was one of the most challenging parts of the process – coming up with the idea. Being a grand collaboration, the concept had to be open enough so that other designers could give it their own take but also structured enough that it would feel like one cohesive piece. When I start concepting, I normally do a brain dump of ideas and write down anything that comes to mind, no matter how dumb it might seem. I try to see the common threads. VIDEO: No Sleep Til Sydney – Part 2: Making the Semi-Permanent Sydney 2018 titles. I felt drawn to creating something that was inspired by science and nature with really bold, playful colours. For me there’s always one point of reference that is a eureka moment, when everything rapidly falls into place. 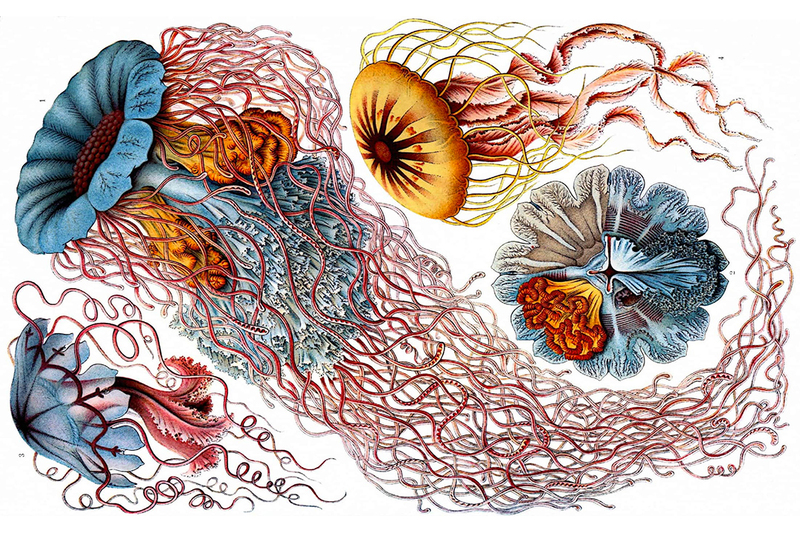 For this project it was Ernst Haeckel’s Art Forms in Nature. When I saw his work in that book, I was like, This is a perfect jumping-off point. 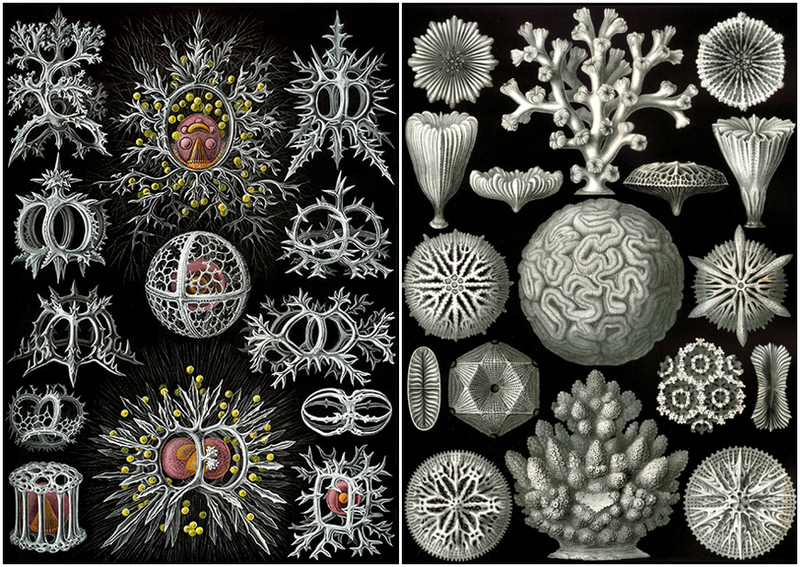 It was such a beautiful intersection of art and science. What is the basic narrative of the sequence? Is it a "life evolving" story? Joyce: Yeah, you’ve got it. 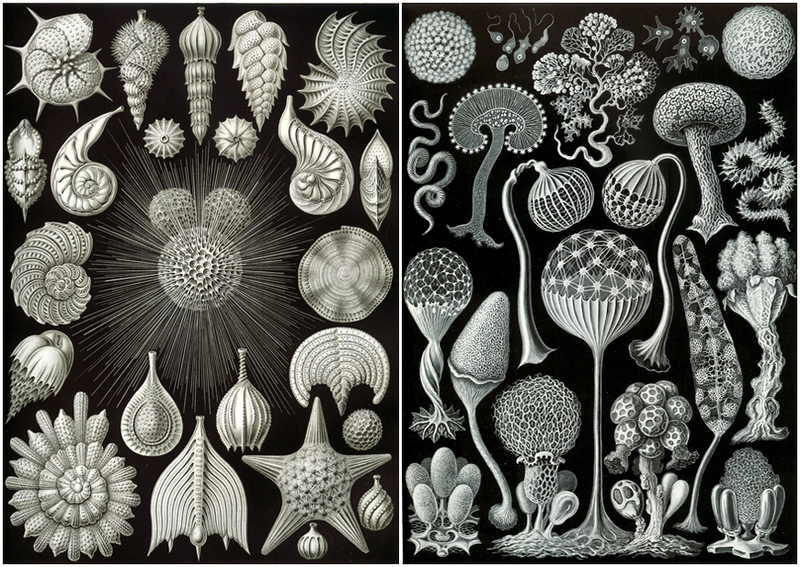 It’s the journey of microorganisms from birth to death. 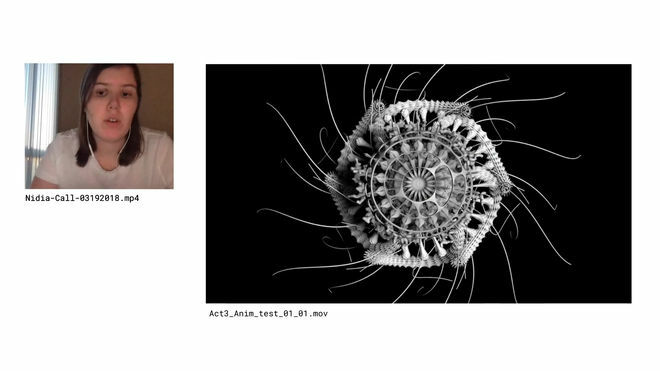 I made up this visual metaphor of creative tension using microorganisms as the character. The titles are broken down into three acts. The first act is about pushing and pulling, when the concept starts to form and you’re deciding which one to go with and you have to take a lot of things into account. In the second act, it’s called “Friction,” which is where the concept develops into its own thing. You have to figure out, go through obstacles to really push your concept forward. A lot of the tension is visualized through the typography and its movement. Joyce: The typography is one of my favourite parts of the titles. 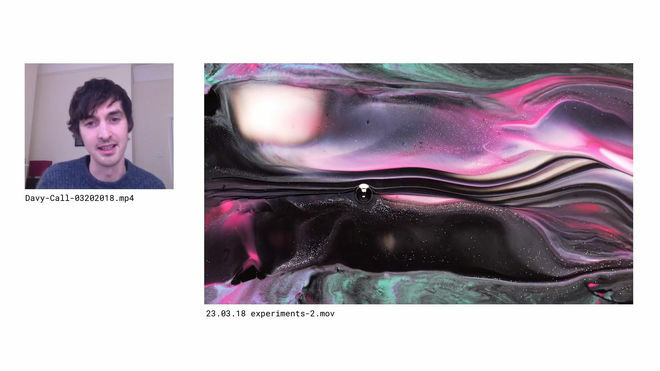 That was by Nicolas Girard and Rafael Ruiz from Worship who are based in Toronto. My direction was that the type be in bold neon colours and be a really big feature of each shot. I wanted the type to be different from the small white type that we find in a lot of title sequences. I sent them a few references but really I just told them to go wild and do something that they were really excited about, that would go well with the styleframes we were creating. What they designed was something that was structured and blocky, that added a lot of impact but sat with the organic imagery really well. They struck a great balance. It still feels very much “Worship” but it allowed the imagery to shine through and not overpower the shot. Then the third act is Release. Where your concept takes a life of its own and it’s getting made and then it gets put out into the world. VIDEO: The making of Act III – Release. Breakdown of shots designed and animated by Art Director Nidia Dias. I wanted it to feel like it was looping back to the beginning because I feel like creative journeys and creative tension is never completely done. So in the third act when it’s Release, it’s the same kind of rainbow texture that we see in the first act. 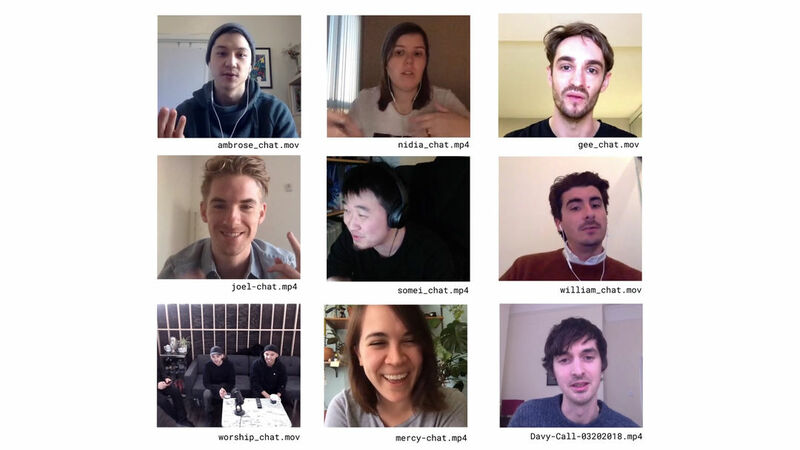 How long did this project take, from the first conversation to delivering the titles? Joyce: It took a little over three months. I didn’t get awarded the job until November and it was full-time until February, so three months. VIDEO: No Sleep Til Sydney – Part 3: Making the Semi-Permanent Sydney 2018 titles. How many hours do you think you put in? Joyce: Oof! [laughs] Between 300 and 400. I should’ve kept count. It’s something that's not often discussed but this was an unpaid project, right? Most people don’t realize that so much conference video work is unpaid but I always wonder how it's possible. How do you navigate doing a 300-hour unpaid project on top of, you know, being a human being and all of the paid work? Joyce: It’s definitely a tough decision to make! Really figuring out: in which aspect is this worth it? I don’t think I could’ve taken it on if I wasn’t a freelancer. 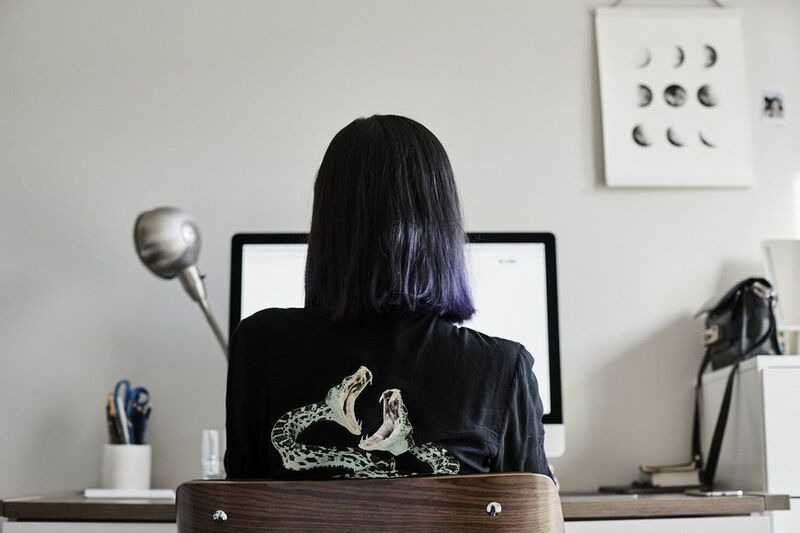 Freelancing offers a flexibility that allows me to take time to do projects that I’m completely crazy about. You get to take bigger chances. Joyce: Exactly, yeah. Since it’s only me taking the risk it feels like less of a risk, versus a studio taking time off from paid work for a project like this. I wouldn't take on an unpaid project lightly but it was such an awesome opportunity in so many ways. I formed a team of my choosing, worked with people I’ve wanted to work with for a while and it was my first directorial job outside of Breeder. It was the biggest team that I’ve worked with. And in the end to create something that was 100% my vision for a conference that I grew up with, that has such a personal significance to me, made that investment all worthwhile. VIDEO: No Sleep Til Sydney – Part 4: Making the Semi-Permanent Sydney 2018 titles. Last question: is there someone you admire that you’d like to work with? A pie-in-the-sky goal? Joyce: There are so many people I still want to work with. I would say Karin Fong and Michelle Dougherty are at the top of my list. Just being such powerhouse creatives, making such awesome work and also being women at the top of their field, I feel like I could learn so much from them. One day I hope to work with them. In terms of title work that I would love to do, it would be awesome to work for a feature film title for a Wes Anderson-type director. Even just creating something for NASA, being the sci-fi nerd and space nerd that I am. It would be awesome to create something for them.